Unique to the Western Cape of South Africa, Cape Malay cuisine is renowned for its fruity, mild and full-bodied flavors. This special fusion of cooking traditions from Malaysian, Indonesian and East African slaves was brought to Cape Town by Dutch settlers in the 17th and 18th centuries. 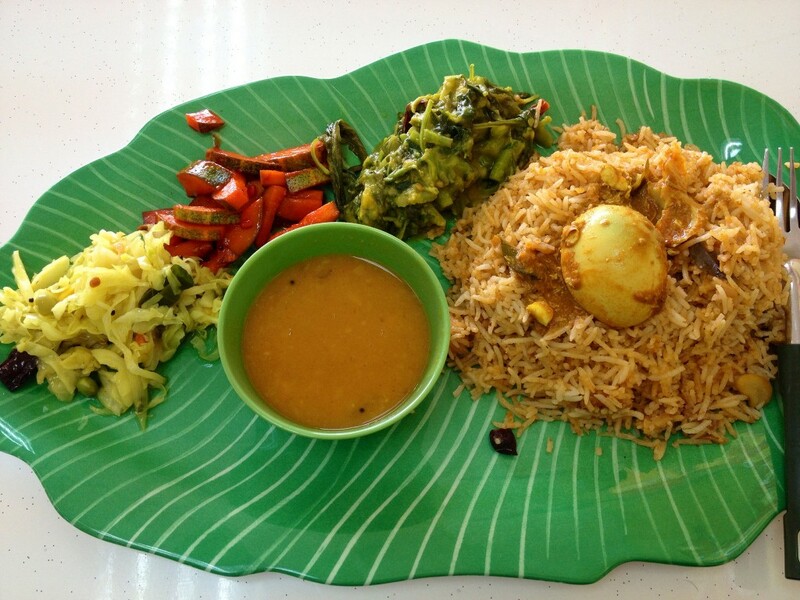 Today, Cape Malay cuisine remains an important part of the Western Cape’s culture and heritage, especially among the Muslim population of Cape Town. Cape Malay culture has influenced South Africa’s wide variety of culinary delights. With its varied roots, traditional recipes continue to be passed down from generation to generation. The cuisine’s combination of flavors result in hearty, aromatic dishes that are enjoyed around dinner tables in Cape Town. There are plenty of African and European influences, too, adopted from Dutch and French settlers in the Cape. 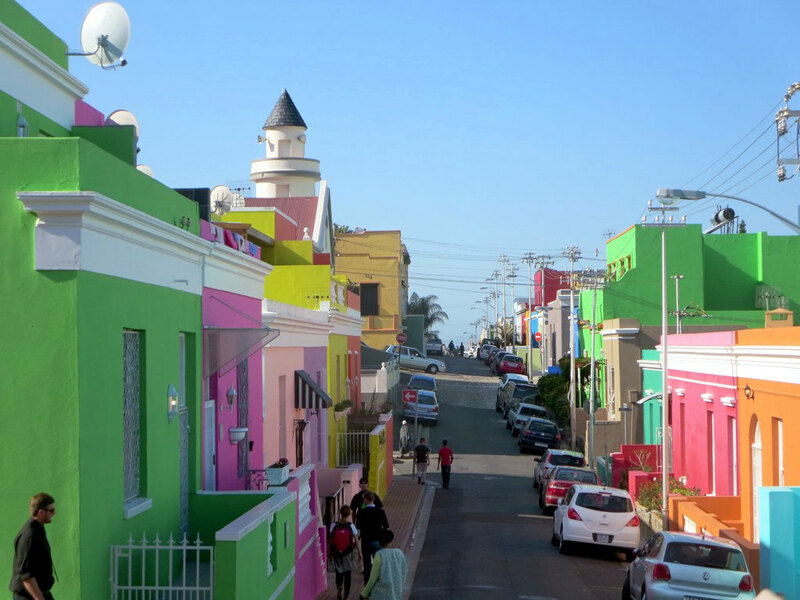 The best place to experience Cape Malay cuisine is in Bo-Kaap, an area characterized by steep cobble-stone streets and rainbow-colored houses where former Cape Malay slaves settled in the early 19th century. 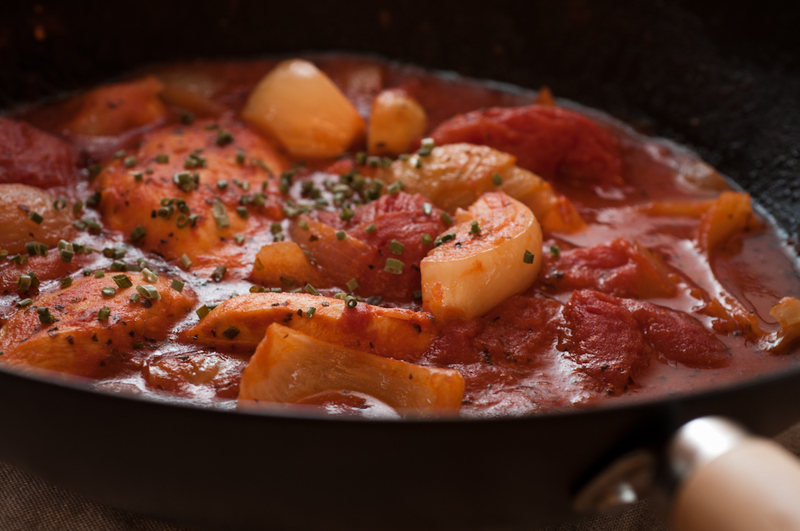 Piquant stews such as tomato bredie (stew), breyani and bobotie are firm favorites, as are roasts, spicy curries, and sosaties (lamb or mutton kebabs). It must be noted that Cape Malay curries are milder than Indian curries, distinguishing it from the two. The aromatic nature of Cape Malay cuisine is due to a blend of spices — cumin, coriander, star anise, tamarind, cinnamon, cardamom and turmeric, to name a few — that give the food its distinctive aromatic quality. Dried fruit such as raisins and apricots are also essential additions, creating the sweet and sour flavors contrasted by the spices. Aside from meat, Cape Malay dishes also include plenty of fish (on account of Cape Town’s coastal location) and are usually salted, curried or pickled, while homemade chutneys and achar (pickled vegetables) serve as tasty condiments. Breads are also important in Cape Malay cuisine. For example, rotis (pronounced rooties) are flatbreads that are used with the hand to mop up saucy curries. Basmati rice and sambals, a relish likened to salsa, are served with bland dishes to spice them up and consist of grated vegetables or fruit seasoned with sugar, salt, chilies and vinegar. 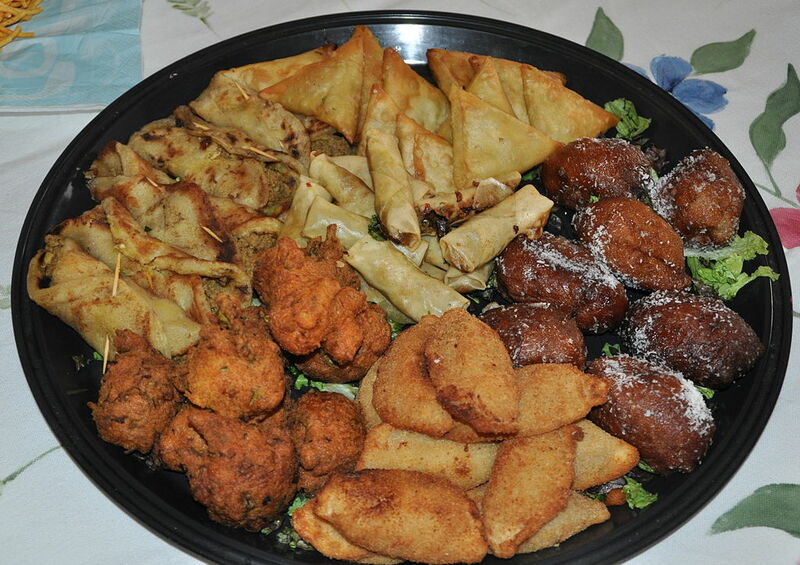 Cape Malay snacks are often served at Muslim birthday parties, weddings and gatherings. These delicious morsels include chicken and mince samoosas, mini rotis, pastry mince pies, dhaltjies and half moons. Dhaltjies are tasty ball-shaped snacks made with chickpea flour, spinach, onion and turmeric. Ball-shaped pieces of dough are then deep fried in hot oil and can be eaten as is or dipped in chutney or sweet chili sauce. As the name suggests, half-moons are semi-circle crispy eats made from cake flour, butter and breadcrumbs and are filled with meat, chicken or veggies. They make delicious party food! When it comes to dessert, Cape Malay puddings are out of this world. There are numerous recipes for fragrant fruit-infused puddings and tarts, as well as cakes, biscuits and koeksisters (spiced syrupy donuts covered in desiccated coconut), which are perfect for tea time. Boeber is a traditional sweet milk drink made with vermicelli, sago and sugar and is flavored with cardamom, cinnamon and rose water. 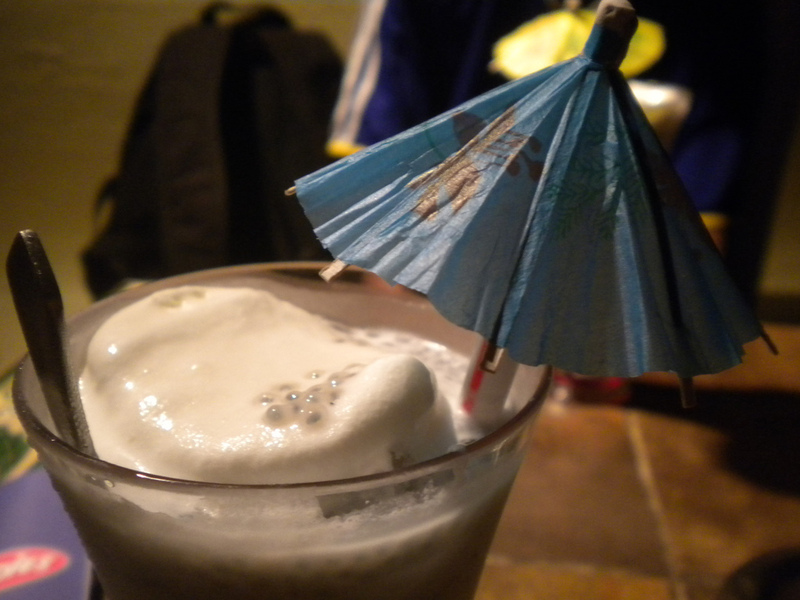 This delicious drink is traditionally served during Ramadan. Another delicious Cape Malay drink is falooda — a sweet rose flavored milkshake topped with ice-cream and softened basil seeds.